But the Productivity Commission, the Australian Taxation Office and our politicians can’t accept this truism. So, who’s running the show? 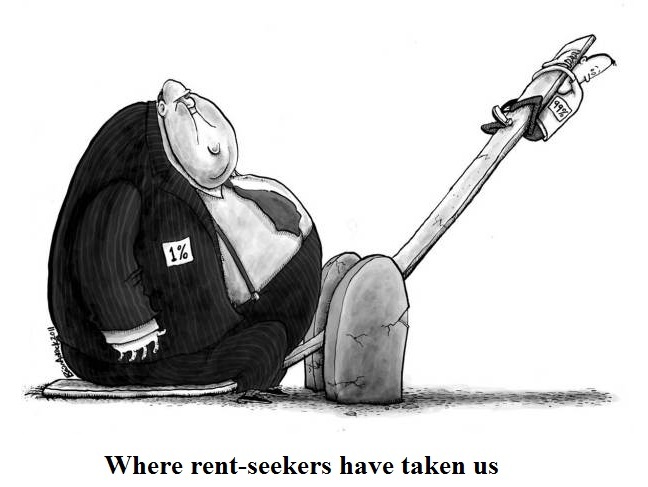 Rent-seekers or us? Clearly, the 0.1 %, the rent-seekers! “Occupy Wall Street” and Gilet Jaunes may protest, but they haven’t a clue how it’s done, because they can’t get their heads around the term, “rent-seeking”. What good’s a revolution if they don’t understand the 0.1%’s economic mechanism – and put an end to it? This has been known for a long time. But who has the money to resist political change? Not the 99.9%! Previous PostJOHN DOREMUS: HENRY GEORGENext PostGO, AOC! !